Does it ever seem that you want to learn more and do more in your ministry? To learn or being introduced to something new is great! It helps you develop your mind and allows you to do more in your life. I remember the feeling when I received my first laptop a few years back. I was so eager to learn more about computers that eventually led to getting a degree in Computer Science! Now, imagine someone who fully has the passion to serve the Lord. Someone who did not even completed elementary or primary education. Someone who could not understand or learn something quickly, but has an intense interest to learn how to use a computer despite not having a computer or used one before. Such is with most of the participants from the Fellowship of National Bible Church (FNBC) of Lufa district in Eastern Highlands Province. 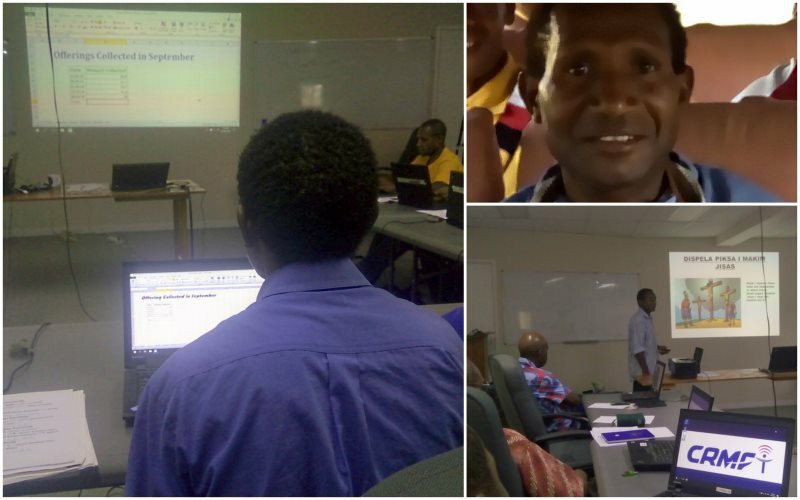 We were privileged to serve the Lord one more time by equipping the ministry leaders of FNBC through our Basic Computer Training program at Lapilo New Tribes Mission, a few kilometers away from Goroka town. There were eleven participants, which made up of five pastors, three deacons, two youth leaders and one CRMF staff. Out of the eleven participants, only two owns a computer or have been using it for a while, unfortunately they both still lack some basic understanding. The profound silence, the complete attention in the training room, the strong commitment and eagerness to learn shows that the participants were really determined to learn! The participants were fortunate to learn the basics of a computer and its uses in their ministry. They were introduced to Microsoft Office 2010 Word, PowerPoint and Excel. 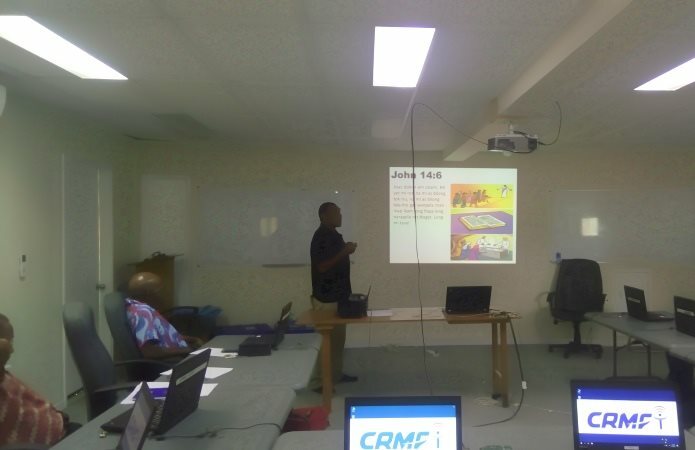 We taught the participants how to print their completed work from a printer and how to connect a computer to a projector for presentations. Each of the participants were given enough time to have their work printed out and to do their presentation up in front. Everyone was really proud of the two youth leaders as it was their first time to stand up in front of their pastors and deacons to share the Word of God through their presentation. 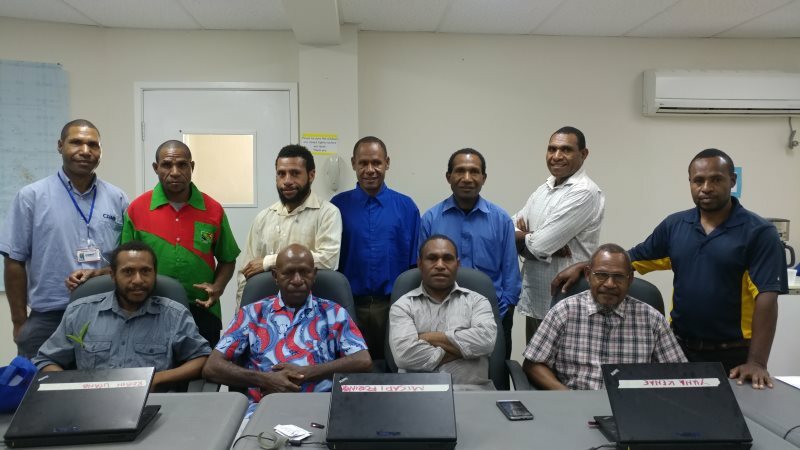 The two weeks training may seem very easy and may not be thought of as important to computer literates, but to these participants, it means more to them than you will ever know! Pastor Misapi was one of the participants who informed us that he was a slow learner. It was also his first time to learn how to use a computer, and he kindly, humbly asks if we could go through every lesson at a very slow pace using a step-by-step approach. We did our best, and at the end of the training, he was full of joy and thanked us as he learnt a lot. We have enlightened these participants on how they can use computers as a tool in their ministry. Now they have this burning feeling inside of them to learn more and do more. Eventually this will lead to something much greater in their ministry. This will surely contribute towards raising the standards of delivering God’s Word to a whole new level. These two weeks of Basic Computer Training were just a beginning of a new chapter!